Police throughout the state are on high alert regarding citizens carrying concealed weapons. It is a serious offense to unlawfully carry a concealed weapon; if you do not have a permit that allows you to carry a concealed weapon, you could face criminal consequences if police discover weapons on your person. “Concealing” a weapon in Florida means to carry a firearm or other weapon on you or close to you in such a way that the weapon is not visible to the public. A person charged with unlawful carrying of a concealed weapon that is not a firearm faces a serious first-degree misdemeanor charge while one who conceals a firearm without a permit faces an even stricter third-degree felony charge. Those who carry concealed weapons in places where they are explicitly barred from doing so with or without a permit, however, can face even harsher consequences that require the expertise of a criminal defense lawyer to combat the charges against them. Having a concealed carry permit will not help you in a situation where you have allegedly carried a weapon in a designated gun-free zone. Even law-abiding citizens with concealed carry permits will face harsh consequences if they are caught in the above-mentioned locations with a firearm or other weapon. The moment you are arrested, you should speak with a knowledgeable gun rights lawyer in Orlando about what you may expect as you proceed through the criminal process. The Umansky Law Firm represented a client in Orange County accused of Carrying a Firearm in Place Prohibited by Law. Our client unknowingly brought a firearm to the airport that he had previously forgotten was in his carry on bag. Our lawyers achieved a withhold of adjudication and our client only incurred court cost. No sentencing for probation, community service hours, or classes was handed down to our client! Of all the places where firearms are prohibited, perhaps none have more on-duty police officers looking to seize weapons than Orlando International Airport. Although there are ways to legally transport firearms on planes, passengers who are forgetful may unfortunately face criminal consequences for merely failing to understand how they may pass through an airport with a weapon legally. Law enforcement personnel are apt to seize firearms from law-abiding gun owners in central Florida’s largest airport. Though these incidents are relatively rare, they often occur to people who meant no harm. Passengers frequently forget to remove their lawful weapons from their persons or carry-on luggage before entering the airport. A significant percentage of these incidents are caused by innocent mistakes; it is an unfortunate reality that law enforcement personnel take a zero-tolerance approach when encountering dangerous weapons in an airport. Even if a person is running late to catch a flight, Orlando police will detain him at the airport and arrest him. Police officers at the airport have several avenues they may take to proceed with criminal charges. If you were caught with a firearm or other weapon at the airport, even if you carried a valid concealed carry permit, you could face a first-degree misdemeanor or third-degree felony charge that can derail your future. The dedicated criminal defense lawyers at The Umansky Law Firm have over 100 years of combined criminal law experience defending charges like yours. 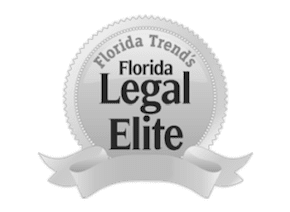 We have weapons attorneys in Orlando with extensive experience handling concealed carry charges, having worked on hundreds of cases in Florida. Speak with an attorney by calling 407-228-3838 or contact the firm online to discuss your case for free. We are also available 24/7 to chat online.